Scan Andersen woodburner in a newly plastered fireplace wood burning stove installation from Kernow Fires. This fireplace had a complete facelift with the fireplace being opened up and the walls re-plastered ready for painting. 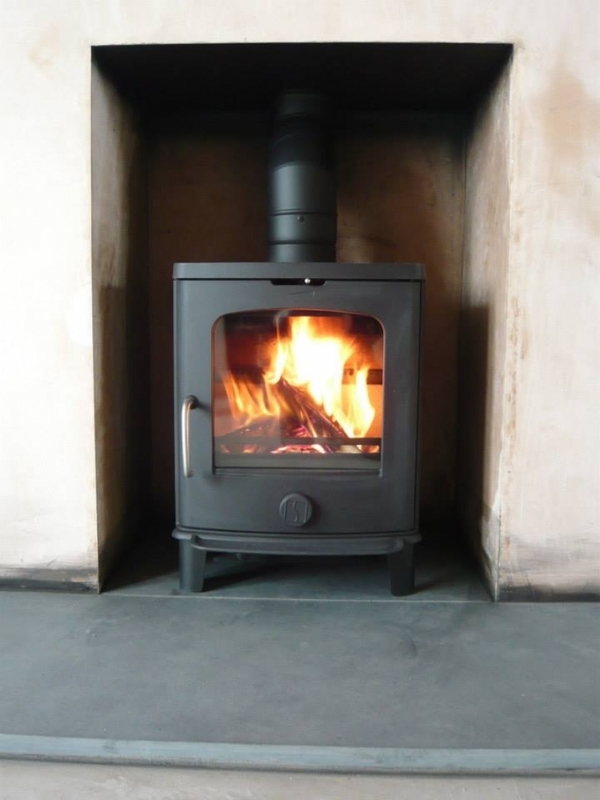 The chimney was relined and the Scan Anderson fitted onto a honed slate hearth.